office on January 22, 1981. He served a relatively short time in office, facing many challenging situations before stepping down on July 5, 1982. As Secretary of State, Haig had hoped to restore the Department of State to the dominant position in foreign policy-making that it had lost during previous administrations. However, the United States faced many challenges during the time that Haig served as Secretary of State, including the Soviet presence in Afghanistan, the Solidarity movement in Poland, disputes with the People’s Republic of China over trade and Taiwan, escalating tensions between the United Kingdom and Argentina, and a new round of conflict between Israel, Lebanon, and Syria. He also had to deal with the intra-government turmoil that followed in the wake of the attempted assassination of President Reagan. Haig did have some diplomatic successes, particularly in regards to relations with China, where he forged a balance that both stabilized relations with the PRC and allowed for the continuation of arms sales to the government on Taiwan. He also strengthened the NATO alliance and helped to re-orient the focus of U.S. foreign policy back toward the Soviet Union, both of which reflected the overall foreign policy priorities of the Reagan Administration. Nevertheless, his efforts to broker diplomatic resolutions to the disputes over the Falkland Islands and in the Middle East did not succeed. 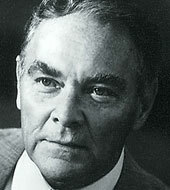 Throughout his tenure as Secretary, Haig was overshadowed in foreign policy matters by other members of the Administration and was thus unable to fully control the Administration’s diplomatic process. He resigned from office after only 18 months. A single mother who battled poverty and depression as she struggled to launch her writing career, Joanne “JK” Rowling was to become perhaps the most famous contemporary fiction writer in the world, with her Harry Potter series of children’s books — a chronicle of the adventures of an adolescent wizard of the same name. The fourth volume of the series, Harry Potter and the Goblet of Fire, was the fastest-selling book in history. Since completing the series, Rowling has put her fortune toward philanthropic projects dealing with poverty, multiple sclerosis and other issues through her own Volant Charitable Trust. Excerpt from commencement talk:: So why do I talk about the benefits of failure? Simply because failure meant a stripping away of the inessential. I stopped pretending to myself that I was anything other than what I was, and began to direct all my energy into finishing the only work that mattered to me. Had I really succeeded at anything else, I might never have found the determination to succeed in the one arena I believed I truly belonged. I was set free, because my greatest fear had been realised, and I was still alive, and I still had a daughter whom I adored, and I had an old typewriter and a big idea. And so rock bottom became the solid foundation on which I rebuilt my life. Full text of her commencement speech is here.